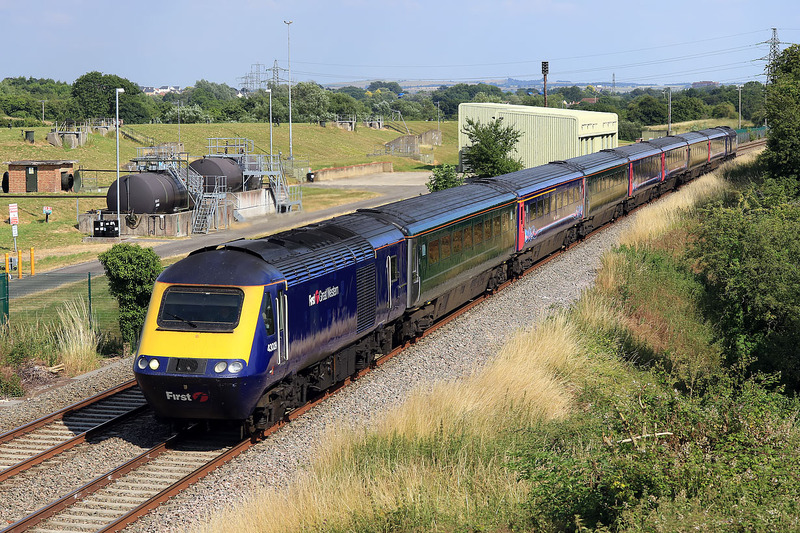 43009 passes the site of Bremell Sidings on 6 July 2018 with the 1G47 15:36 Paddington to Cheltenham Spa GWR service, which on this occasion was terminated at Gloucester, allegedly due to a points failure. Although not too apparent due to the lineside foliage reflecting in the coach sides, this is a real mixed rake. Both power cards are blue, but the coaches are: green, blue, green, blue, blue, green and blue!